Mom and Dad's estate finally settled, 2 years after my Mom, Gertie's, death. Years ago, my Dad tried to prep me for what might be ahead regarding the estate. Dad and I had many conversations about his wishes, and I tried to do as my Dad asked me and believe that he would be proud with how I handled myself. There is, however, a book in the making over the settlement of the estate. 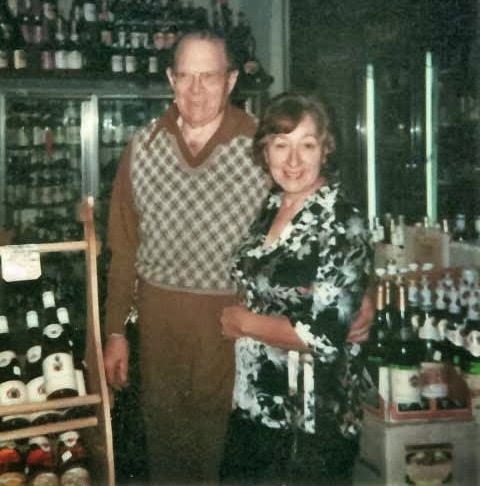 Regardless, Town Hall Liquors in College Park, Maryland has transferred ownership and is no long my 'Folks' bar' which is how I always talked about it for the past 54 years. When I was young, I literally grew up in the back room of Town Hall. There was an office there which remains to this day. I remember playing back in the office as Dad was doing payroll or putting together the next weeks order. During the long days of football games at the University of Maryland, all hands would be on deck helping run the bar and liquor store. I was generally delegated to the back room, that is, when a regular wasn't watching me. There was even a cot back there for naps or evening snoozes. When times are good, liquor sales are good. When time are bad, liquor sales are better. I remember the 1966 riots in DC. I was only 8 but I well remember Dad worried about other places in DC that he had an ownership interest in. All of those places survived the riots - mostly because the locals took care to made sure they were protected from looting or flames because 'Mr. Joe' always took care of them. 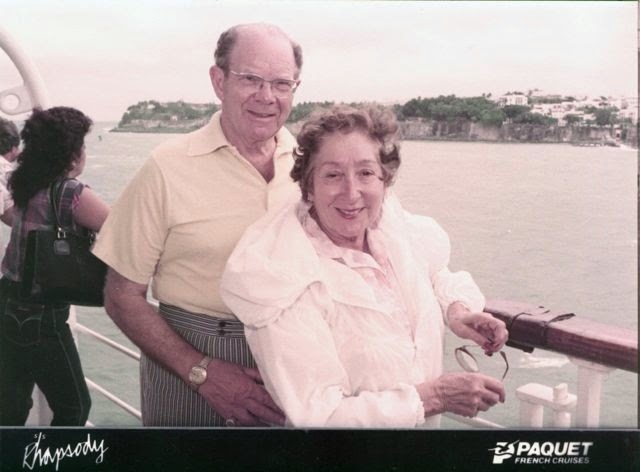 That's who my Dad was to the locals, Mr Joe and then his wife, Miss Gertie. Town Hall, back in the days I remember, was teeming with locals - it was one busy place, day in and day out. The locals there remind me today of the crowd in the TV show Cheers. Everyone knew everyone else. Ah, those were the days. 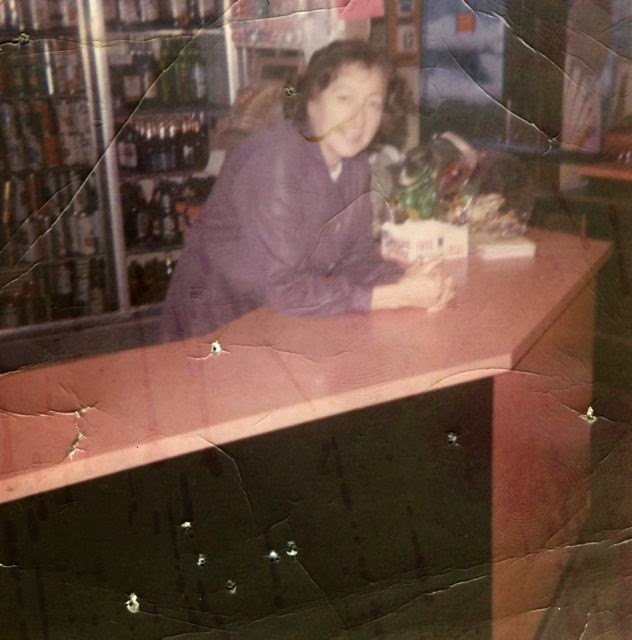 Those were the days when Mom would run the store and Dad would run the bar. When Maryland was playing games, Town Hall was swamped and my folks handled the crowds flawlessly. I remember that we always had an ample supply of 'Peters' jackets. Back in the 1960's, Peters jackets were status symbols; if you didn't have at least one jacket, you weren't cool. The buttery yellow jackets were light and warm at the same time. I remember my Dad telling me how we ended up with so many jackets - whenever someone was caught trying to steal from Town Hall, Dad would frequently bar the stealer and grab his jacket on the way out. Yes, indeed, we had a whole lot of jackets. We even had those nice leather sports jackets from the Maryland football players. Dad would give them the option of giving up their jacket or calling the police when they were caught stealing. Yep, we had jackets all right. My parents were of the era when long hours of work yielded their success. And, they sure did work those long hours, along with raising a family. My parents success at running Town Hall funded college for two of their four children. And, I, for one, am forever grateful for my college education from Frostburg State University. I've leaned on my biology background all my life and my eldest brother, Mike, is now retired from aeronautical engineering. We have Town Hall to thank for the family riches, in many ways. But those days have officially passes as Town Hall moves onto a new owner and I myself move into retirement age. I shall look back with nostalgia at those 'good old days' and remain grateful that I was born of parents who understood the value of family and friends and passed those values onto me. Thank you, Mom and Dad. I will be forever in your debt. My memories were few but so vivid. Bubbie would make us sandwiches and we got to sit by the bar. As mom stocked up her trunk....I got to spin around in zaidies chair in his office. It was so awesome never saw a chair spin the whole way around before! And the little window on his office door was a one way glass. I could never understood how it worked but no one could ever see in. And u could always see out :) I went down once since I had turned 21 . After explaining to the bar tender who I was...I still had to pay full price for my southern comfort!! Monya, such sweet memories. I have pretty similar ones. I grew up there.